You saw us on Tinder? Well, you clearly saw me at the Tinder Launch party in London. 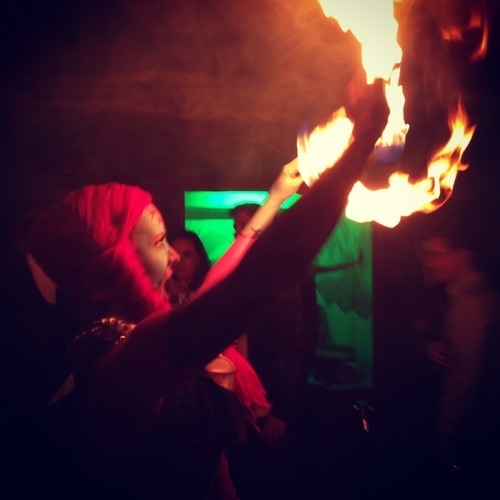 It was November 15th and I made my way to the Tinder Launch party at Cirque Le Soir for a cheeky night of fun and laughs, and more importantly spreading the word about Tinder-the hottest app in the world. Being one of the brand ambassadors, we all had to be early on at the venue, help in its organisation, talk to media reps and VIPs. 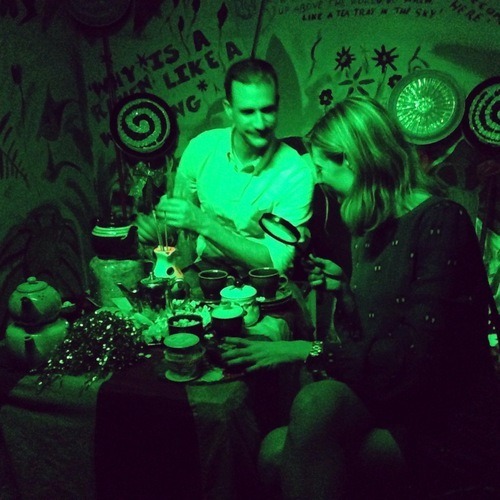 The location to officially celebrate the launch of the Tinder App was Cirque Le Soir, the most exclusive, unique West-End club, which, in the past has rejected the likes of Justin Bieber. 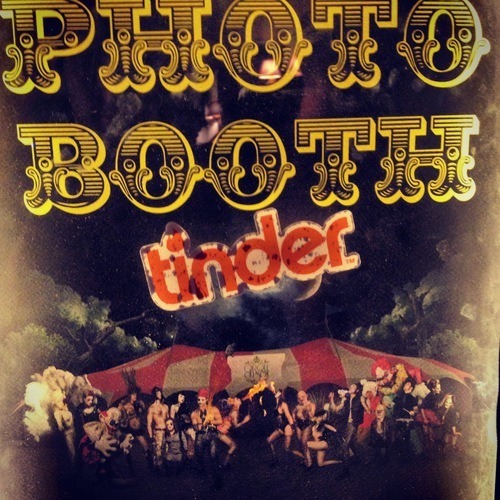 Inspired by a circus setting that blended well with the whole Tinder launch party, the fun and playfulness of the dating process was underlined by dancers dressed as clowns, evil babies, scary pig masks as well as video games, photobooths and popcorn-machines. Others would claim that the place looks like a school disco with many bright disco colours, curtains and a lot of red colour. A remarkable feature was the onsite massage from the Ibiza Angels staff as well as the collaboration with limousine service Uber. It was also good to watch different people open up and connect in public rather than just on the app. The feedback about the app was incredibly supportive, conversations were positive and people were friendly in communication, something that is not always the case in typical West End clubbing nights. Although the app has been around for several months in the UK, the launch proved a great occasion for everyone to talk about it again, mingle with other Tinderers and also to use social skills outside of the mobile world and in real life. The ones who came late were “punished” with queuing in the cold and some weren’t even able to get into the party. Many thanks go to the professional handling of the event by the Cirque staff, the fine blending of the Tinder brand with the club, Whitney for giving me this opportunity, and the overall great attitude of the crowd that evening.